As for the bags, there are two reasons: First, because the medium is the message, as every designer knows. We carry around these emotions i.e. 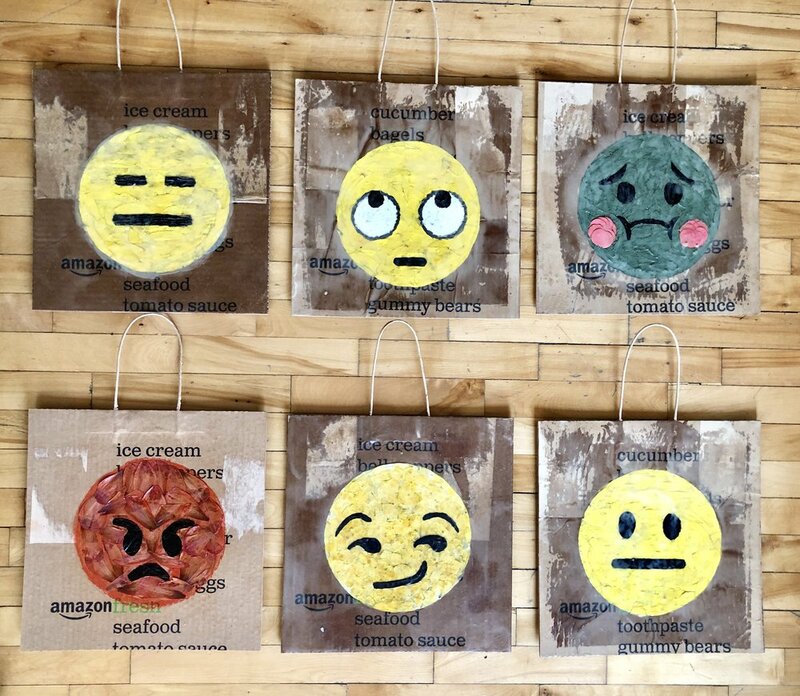 emojis with us all day in real life. They're what’s inside of us and we bring them with us wherever we go. And always in our pockets or bag, is a cell phone, just waiting to communicate something. Second, because I’m focused on using more recycled materials in my work. To make do with whatever I have on hand. This is another useful way to create something with what is readily available. Scraps into Art! Whenever I'm ready to make a new one, I think "what's my #mood today? #whatsmybag ? #Moodoftheday, #whatsyourbag, #bagit, #instamood, #me, #you, #nofilter, #life.